Happy Friday! I am heading to Vegas for Cosmoprof tomorrow and couldn't possibly be more excited! I will be posting pics as I can on Instagram and Facebook, so follow along if you'd like! I haven't had much time to swatch the past couple of weeks so I am pilling a couple of polishes from the vault! These photos were taken awhile back (as you can tell by my rounded nail shape) but the polishes are still just as pretty! 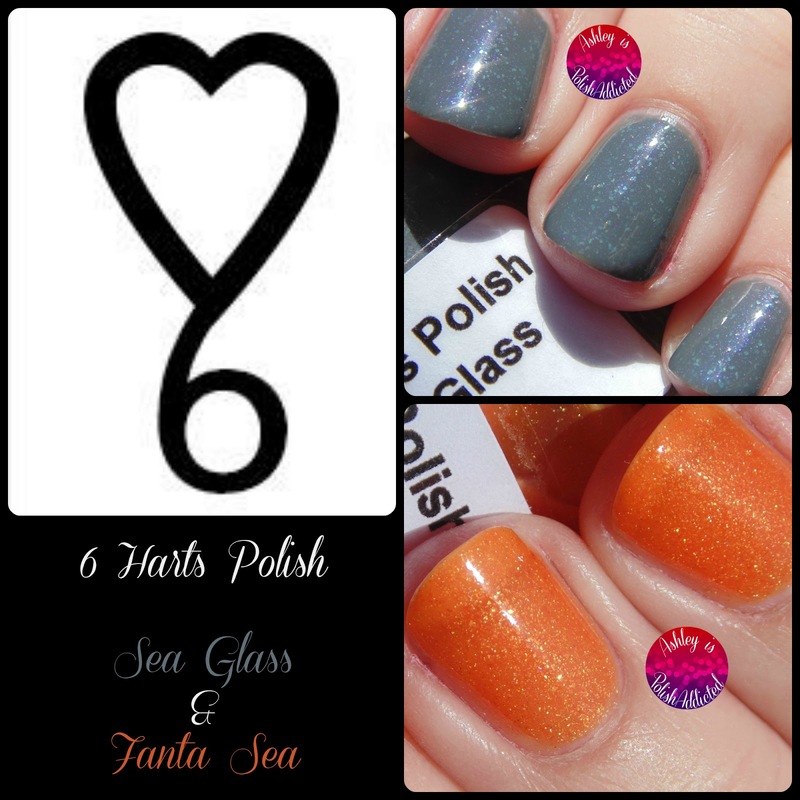 6 Harts Polish makes some amazingly beautiful polishes and I have just two of them to show you today - Sea Glass and Fanta Sea (Fanta Sea was a custom polish made for Superficially Colorful's Blogiversary Giveaway). 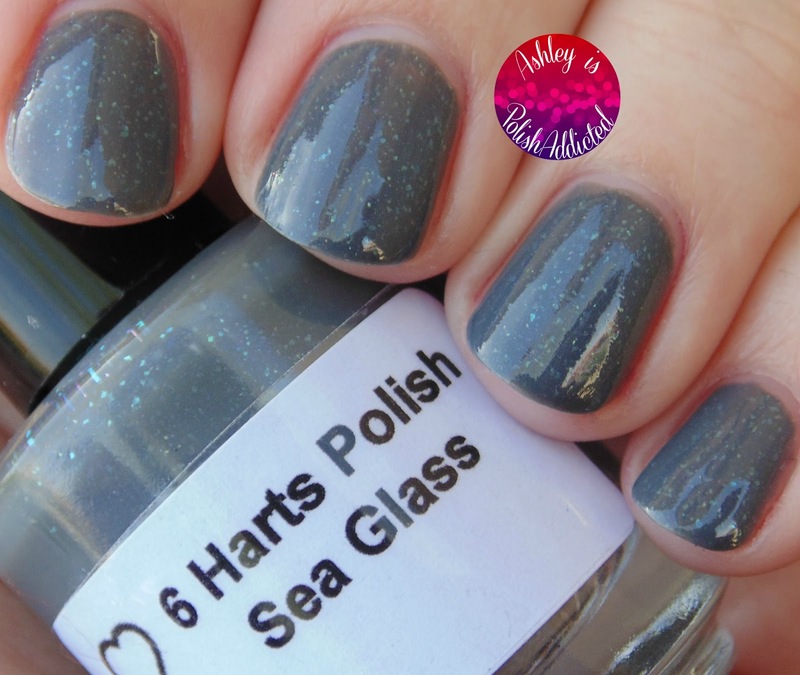 Sea Glass is a gorgeous grey crelly filled with translucent micro-flakes. Perfect formula and application. This is 2 coats and one coat of top coat. Fanta Sea (Custom) is a gorgeous orange shimmer that is as juicy as the name implies! What do you think of these? 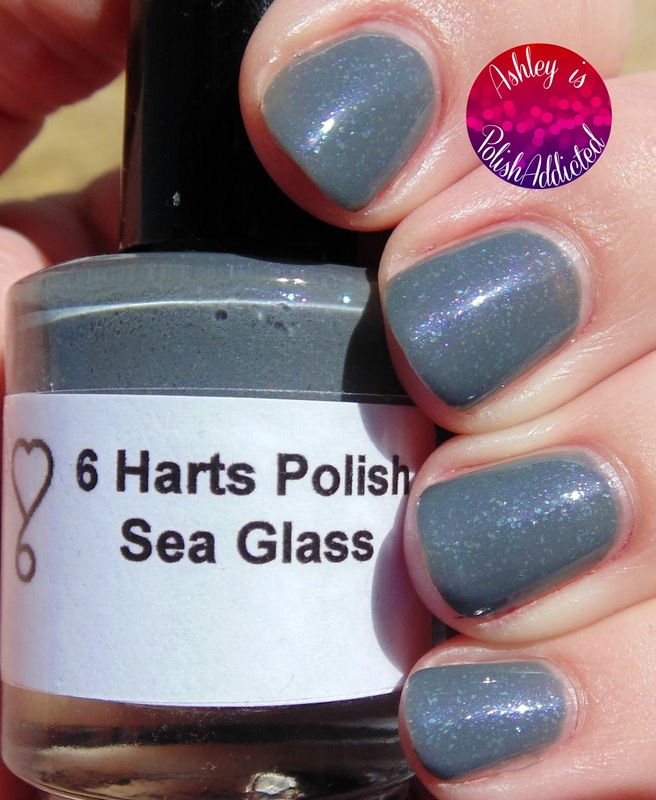 I have shown you a few other 6 Harts polishes in the past but I still haven't shown you my favorite! I will be doing that soon! If you haven't checked out this brand yet, I highly recommend doing so! Check them out at the links below! Both are so super gorgeous and look amazingly beautiful on you!! !